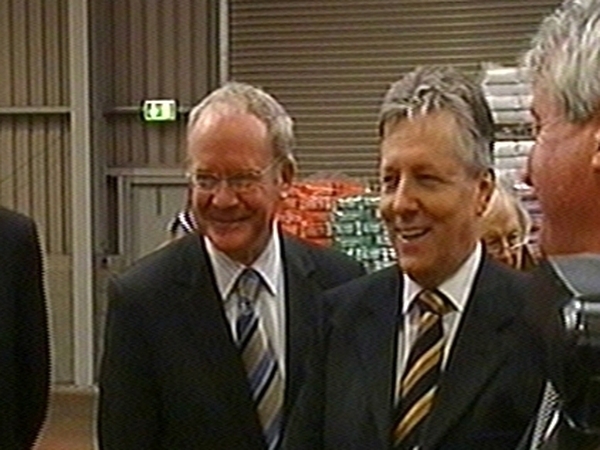 Northern Ireland Deputy First Minister Martin McGuinness has criticised what he called the nonsensical debate about cross border shopping. He said that like racism and sectarianism, partitionism is one of the evils in our society. He said when he heard the Lord Mayor of Dublin suggest it was unpatriotic to go shopping in Newry, he wondered how would it go down with the people of Dublin and in his view it probably boosted the numbers. He said we have to recognise that there are people working in one jurisdiction and living in the other and that there are people travelling to different parts of the island. He said many people in Northern Ireland travel over the border to buy petrol so it is a matter of swings and roundabouts. On the cross border shopping question, Taoiseach Brian Cowen said the 30% reduction in the value of sterling was having its impact. In the past trade had moved in the other direction, he said, and in the context of the current economic downturn it was important that the two administrations try to work together to improve the situation. He said he never suggested that people travelling north to shop were unpatriotic but there are obviously local business associations and chambers of commerce who try to ensure that the customer stays as local as possible. The Taoiseach said we live on an island and people make their choice; the important thing is that we provide the best value for money possible and deal with the cost issues that arise. The Taoiseach and Mr McGuinness were speaking before a meeting of the administrations from the Republic and Stormont in Derry. Mr Cowen and members of the Cabinet are to hold discussions with ministers from Northern Ireland's power-sharing executive. It will be the first time that such discussions between the two administrations will be held west of the Bann. One of the developments proposed in the Good Friday Agreement ten years ago was regular meetings between the administrations north and south to discuss areas of cross-border co-operation. 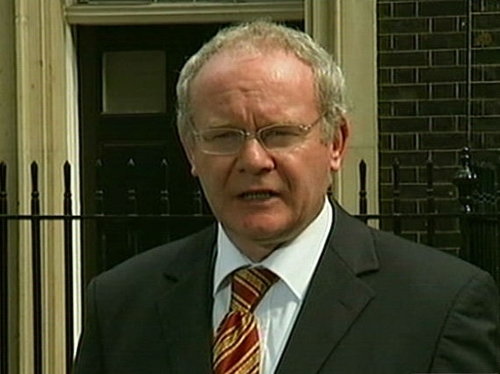 This morning's talks are being held Magee College in Derry, the hometown of the executive's deputy first minister, Martin McGuinness. The respect internationally for the changed political climate on the island of Ireland was acknowledged yesterday by new US President Barack Obama when he appointed a former stalwart of Ireland's peace process, George Mitchell, as his envoy to the Middle East. But this morning's talks in Derry may be dominated by the changed economic climate. Some of Northern Ireland's ministers say their agriculture sector suffered from recent pork industry problems that began in the Republic. Southern ministers know how much the Republic's economy is being hampered by the flood of cross-border shopping.